Both the New York State Teachers' Retirement System and the California State Teachers' Retirement System have stakes in Hikvision. What's happened to the vanished Uighurs? 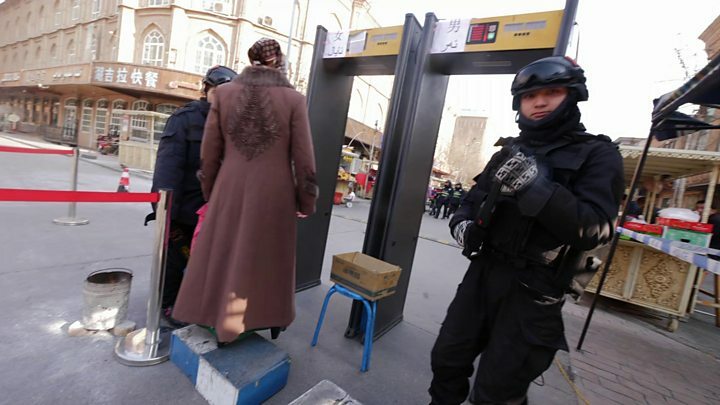 Image caption Uighur protestors pictured in 2009 wield the ID cards of detained relatives. The New York State Teachers Retirement System (NYSTRS) and the California State Teachers' Retirement System (CalSTRS) are two of the US' largest public pension funds. "We are committed to socially and environmentally responsible business practices and acquire goods and services in the best interest of CalSTR," the fund's website reads, though it has not commented specifically on Hikvision. Image caption Florida Senator Marco Rubio has lead efforts for Chinese companies operating in American markets to disclose their ties to the Chinese government's security apparatus. On his website, the Florida Republican shares a letter addressed to two of President Donald Trump's cabinet members, urging the administration to impose sanctions on individuals and entities "profiting" from detentions in the Xinjiang region. He mentions Hikvision. "The Chinese government is creating a high-tech police state" in Xinjiang, reads Mr Rubio's letter. "No Chinese official or business complicit in what is happening in the XUAR [Xinjiang Uighur Autonomous Region] should profit from access to the United States or the US financial system." 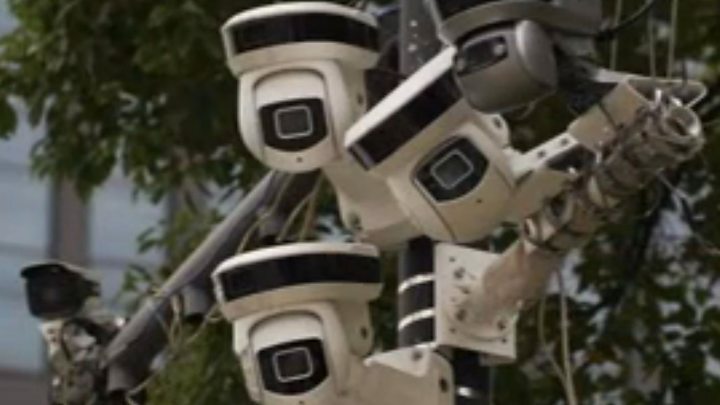 Hangzhou-based Hikvision - which is thought to be controlled by the Chinese government - is world's largest supplier of video surveillance technology. Human rights groups also say Hikvision supplies surveillance systems to the facilities, which China calls "training centres". The Financial Times reports the company as stating: "We take very seriously the concerns raised regarding the use of Hikvision equipment, and we are evaluating a range of options to address these matters." Image caption China is accused of detaining huge numbers of Uighurs and other Muslims in Xinjiang. A statement on the company website last year said: "Hikvision takes cyber-security very seriously and abides by all applicable laws and regulations in the countries in which we operate. "We also reaffirm the fact that we hold our products to the industry's global cyber-security standards."